Organize It All Wall Cabinet Door Mounted Metal Pot Lid Rack, White for $6.89 !!! reg price $11.89 !!! So Handy !!! 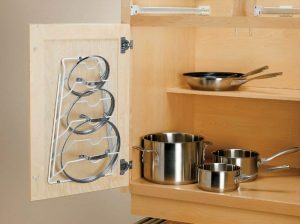 Organize It All Wall Cabinet Door Mounted Metal Pot Lid Rack, White for $6.89 !!! reg price $11.89 !!! This is a add on item and all ship with orders over $25 !! AOMAIS Sport II Portable Wireless Bluetooth Speakers 4.0 with Waterproof IPX7,20W Bass Sound,Stereo Pairing,Durable Design for iPhone /iPod/iPad/Phones/Tablet/Echo dot,Good Gift(Orange) for just $29.99 + FREE shipping !!! reg price $170!! 50% + MORE off Fossil items !! Hand bags as low as $27!! reg $98!! Oster 2-Pound Expressbake Bread Machine with 13-Hour Delay Timer, thats just $47.99 + FREE shipping !!! reg price $60!! Member’s Mark 24-Piece Glass Food Storage Set by Glasslock for $20.98 !!! Bed Head Curlipops Curling Wand for Loose Curls, 1″ for only $11.19 !!! reg price $20.98 !! !